Like many other businesses we surveyed, are you also bored of seeing the same login page for your SuiteCRM installation? Do you want to have your very own login page? At AppJetty, we have addressed this pain point of businesses using SuiteCRM through Dynamic Login Screen Pro. Though not anything that you can’t do without, it's a nice little plugin to have. Especially since it gives you a chance to motivate your employees by showing them motivational quotes along with custom designed login page backgrounds. And the best part, you can add as many quotes or background images as you want. It will make you SuiteCRM login page more attractive and appealing. It will give your CRM users something to look forward to every time they login to their CRM system. 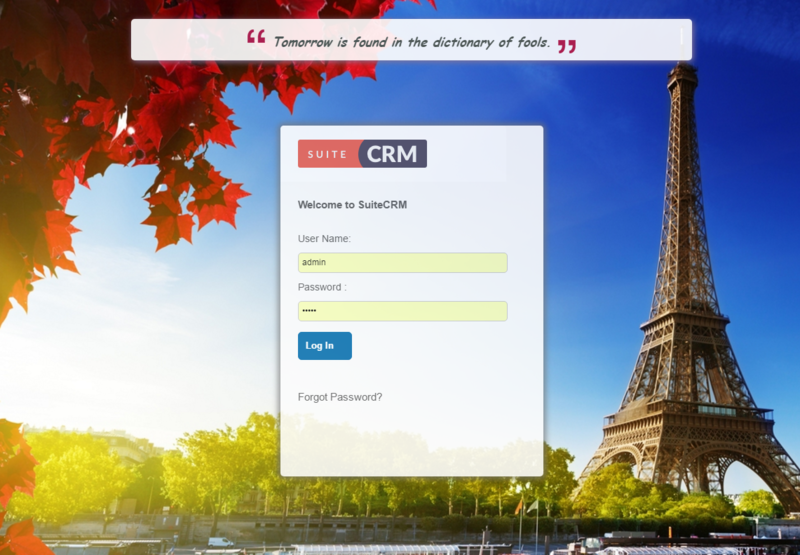 Need an Enticing and Appealing SuiteCRM Login Screen? With the pro version of SuiteCRM Dynamic login screen, admin can offer a customized login screen with an overwhelming look and appeal. With the extended set of images and motivational quotes, Dynamic Login Screen makes the SuiteCRM software solution highly enticing. In addition to this, there are several impressive features making this plugin more reliable. Check the extended list of features helping SuiteCRM solution owners to receive desired ROI. The ever changing market trends require a rejuvenated feel for accessing SuiteCRM software solution. Forget the boring and monotonous login screen with entirely new and playful plugin for SuiteCRM users. This software tool allows you to offer your users an enthusiastic and vibrant login screens. Upload unlimited images and designs in the image slider for rotational display, which will keep on moving in the background. The sequential image display is user friendly offering extensive user experience. Adding, editing and removing the inspirational quotes for displaying on the login screen is a simple task. Admin can manage the quotes to-be displayed on the login screen. These quotes keep on changing (changes every time the login page is refreshed) given the selected quote category. We like this one a lot. It's not a huge productivity booster or anything but it works well and looks good. Our people all work remotely, and being able to connect a little at the start of each day with a photo and/or quote that unites us and reminds us we're not alone is a real benefit. Outstanding image display with continuous rotation. Numerous quotes displayed from various categories. Easy and user friendly plugin solution. Personalized login screen for users. Simple and efficient addition of quotes and images. Better look and feel of the login screen. Get the amazingly built SuiteCRM plugin with dynamic images at the background of the login screen with the set of inspirational quotes on the top of the screen for extensive user experience. 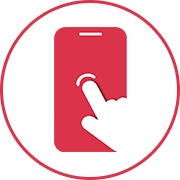 Travel agents and tour operators can manage all communication with their customers easily and securely with our Customer Portal. Manage customer queries during the entire service lifecycle, provide tour iteneraries and updates (change in schedule), manage payment details, handle special customer requests, upsell, cross sell products, etc. "Easy to install, works good and as expected."